Anxiety disorder is a pattern of frequent, constant worry and anxiety over many different activities and events. It is a common condition. Genes may play a role. Stressful life situations or learned behavior may also contribute to the development of anxiety disorder. The disorder may start at any time in life, including childhood. Most people with the disorder report that they have been anxious for as long as they can remember. Anxiety disorder occurs somewhat more often in women than in men. Even when aware that their worries or fears are stronger than needed, a person with anxiety disorder still has difficulty controlling them. Along with the worries and anxieties, a number of physical symptoms may also be present, including muscle tension (shakiness, headaches). 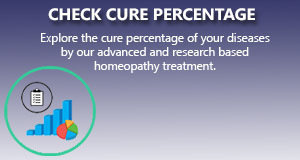 Homeopathy deals with symptoms. A well taken case history helps to cure a disease to a large extent. Mental symptoms are key symptoms for homeopathically individualization of the case. In Anxiety disorder there are all the mental symptoms which are very helpful to select a constitutionally remedy that generally cure this disorder. In our Multicare homeopathy online treatment center many Anxiety disorder paitents have benefitted using our advanced homeopathic treatment packages. We apply the most scientific and research based homeopathy treatment package for this ailment that gives a long standing cure from this condition.